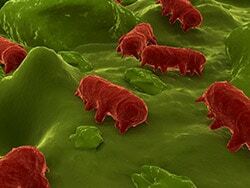 Salmonella food poisoning is serious business. According to the Centers for Disease Control (CDC), each year there are approximately 1.4 million cases of illness related to salmonella, with 500 deaths resulting. Of all the bacterial infections caused by food poisoning, this is the most common. At Brown Chiari LLP, we devote our extensive experience and reputation to prosecuting those that are responsible. Our record of success speaks for itself. While Salmonella food poisoning is not usually life threatening, it can be in certain circumstances. Those with a weakened immune system are at an increased risk, as well as pregnant women, elderly individuals and babies or toddlers. Contaminated food can cause many common symptoms, including nausea, vomiting, diarrhea and abdominal cramps. If you experience long-term effects of Salmonella food poisoning, Brown Chiari LLP is a reputable food poisoning attorney firm that will work relentlessly to make sure that those responsible pay. Recently in the news, reports of salmonella tainted peanut butter was widespread. This peanut butter was distributed to a large variety of consumers, including nursing homes and schools, and was used in some well known products that many people buy at their local supermarket. Salmonella food poisoning is an illness you should not take lightly, and you should seek medical help immediately. If your illness is not confirmed by a medical professional, you may lose your right to legal compensation. Contact a New York food poisoning attorney at Brown Chiari LLP at once; the longer you wait, the more difficult it becomes to prove your case. Contaminated food and water are the most common culprits of salmonella bacteria, which rare instances can cause meningitis, septicemia and Reiter’s syndrome. Reiter’s syndrome is a rare complication that often affects patients for longer than one year, and can be permanent. It is characterized by eye irritation, urinary tract infections and reactive arthritis. Salmonella food poisoning, while usually mild and of small consequence, can be very serious – even deadly – in some cases. In recent years, there has been an increase in the number of salmonella food poisoning incidents, which are usually caused by the mishandling and consequent contamination of food. In the United States, this type of poisoning accounts for 31% of all deaths related to contaminated foods that are eaten. If you or a loved one been the victim of salmonella food poisoning, it is a smart move to contact an experienced attorney to help recover damages related to your incident. Bills can pile up from lost wages, medical costs, pain and suffering and more. Contact Brown Chiari LLP today before your Statute of Limitation potentially ends. Get justice for the pain and suffering you have endured. Our expert legal team has decades of experience, and have recovered millions in verdicts for victims of personal injury, including food related illnesses.